A social outcast's comfortable but lonely existence is shattered by a series of events. Billed as a horror comedy, there is a certain slapstick pleasure afforded to these encounters. 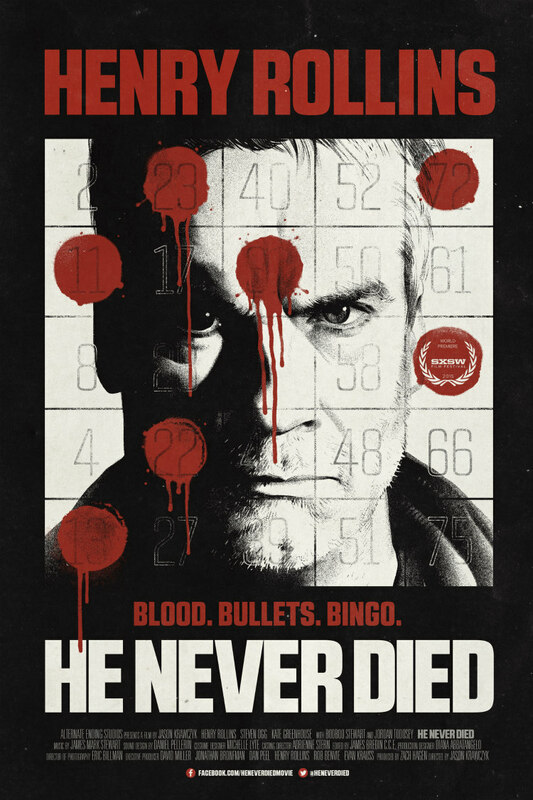 Rollins is an accomplished comedy performer, and the film certainly evokes its noir plot with visual panache, but He Never Died does not really fulfil its premise or build upon its vivid, greasy style. He’s a hard man, that Henry Rollins. Check him out, the body hewn out of granite, the intense black marble stare, the unrelenting steam engine energy. Behold as he bestows his powerful rhetoric and forceful morphology to film project after TV project, all alongside his other various profiles as musician, writer, journalist, motivational speaker, television and radio host, spoken word artist, comedian, and activist (thanks, Wikipedia). He’s unstoppable. So it is quite apposite to find him in He Never Died, a film about a character who is seemingly as inexorable as the man playing him. Jack (Rollins) is a rock in a hard place. A loner who just wants to be left alone, save for seemingly obligatory meetings with hospital intern Jeremy (Booboo Stewart) to mysteriously collect pilfered bags of blood, and routine forays into the local diner to order eggplant and parmesan from well-meaning but naïve waitress Cara (Kate Greenhouse). It is a grim and insular existence. However, notwithstanding Jack’s prickly manner, (and to paraphrase the lyrics of Rollins’ old band Black Flag), strangers do have a way of ‘crawling in your face and not leaving you alone’, and, despite Jack’s best efforts to shun the world at large, one day a couple of thugs kidnap Jeremy, and then, whilst in the midst of dealing with that particular fire, Jack receives a phone call telling him that he has a hitherto unknown of 19 year old daughter. Can this hard man find the heart to save them both? 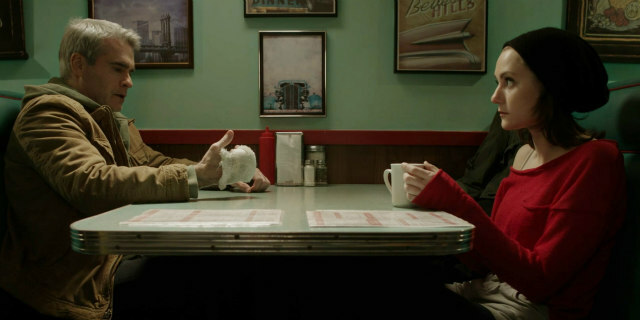 The noirish He Never Died is built upon mystery, specifically the provenance of Jack - a violent enigma of a character, whose backstory is deployed in narrative fragments throughout the plot. The subject of the film’s title, Jack is immortal, and seemingly impervious to the many punches, stabbings and gunshots he receives throughout the sly slapstick of this low key horror comedy. It’s hard to imagine anyone else in the role - Rollins' lifelong persona as a force of incorrigible energy fits the character like a muscle vest; if anybody else had been cast, it may have rendered the role unconvincing, such is the volume of punishment meted out to Jack as he attempts to recover various cohorts who have been kidnapped. 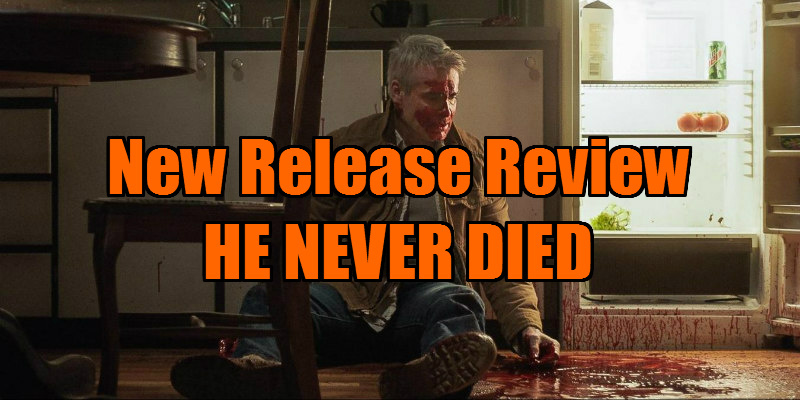 He Never Died has excellent stunt work and physically charged performances, and is a completely exhausting viewing experience. Billed as a horror comedy, there is a certain slapstick pleasure afforded to these encounters. 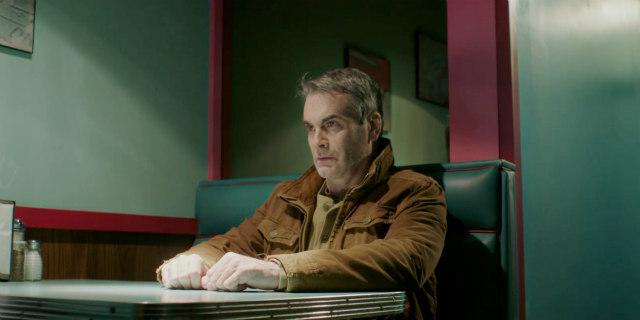 Rollins is an accomplished comedy performer, and the film certainly evokes its noir plot with visual panache, but He Never Died does not really fulfil its premise or build upon its vivid, greasy style. 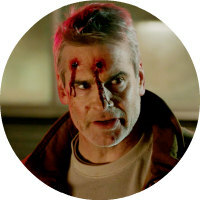 As a black comedy with gory trimmings, He Never Died is a tasty treat, but the eschatological themes and nods toward existentialism suggest a depth just beyond the winking violence. In the extras, writer/director Jason Krawczyk talks of how he wanted to make a film where the worst person does a good thing, and (in an offbeat counter to the Marvel monoculture), the concept of a cursed super anti-hero is potentially refreshing. There’s also the gory matter of how Jack sustains himself, which is to cannibalise other people, but the issue is that these ideas are not fully (ahem) fleshed out. Apparently, the origins of the Jack character and the fate of his mercurial daughter are going to be further explored in a mini-series which this film acts as a pilot of sorts for. While this development may have a pleasing congruity with Rollins' multimedia presence, the audience who have made it through the various thumps and bumps of Jack’s hard going filmic journey may feel that they deserve a little more closure as the credits roll.